). His unique and so characteristic voice is unmatched and instantly gets recognised by any true self-respecting EBM-industrial-electronic music lover. 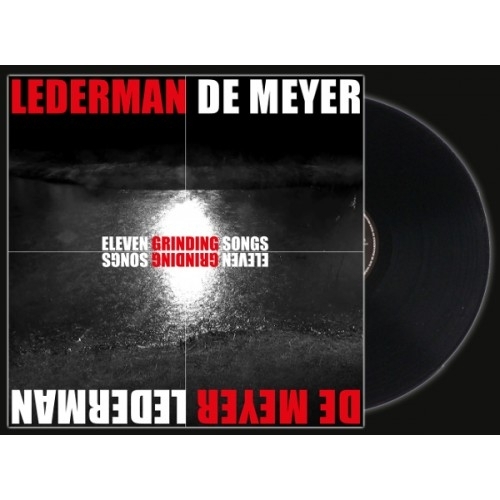 These quite eclectic and uncompromising song arrangements appear to be the perfect fertile ground allowing De Meyers dense and inhabited voice to unfold across different registers going from pure icebreakers to boiling volcanoes through melancholic whispers and other poetic grunts. The texts are dark and introspective, punctuated by sarcasm and self-mockery. And the care given to the lyrics definitely sets this project apart, miles away from the overused first-degree universe of standard alternative electro / EBM bands. Among the album highlights we can definitely mention A Tribe of My Own, Flowers and Birds and Bees and Not really there, three dark, oppressive yet very danceable tracks all bound to become new anthems in the best darkwave clubs. Eleven Grinding Songs pushes human in front of his anxieties, his deviances, his obsessions, his beliefs, his hopes and his defeats. A poignant and fascinating mechanical deconstruction jointly orchestrated by two artists reaching the top of their art. Play it loud!